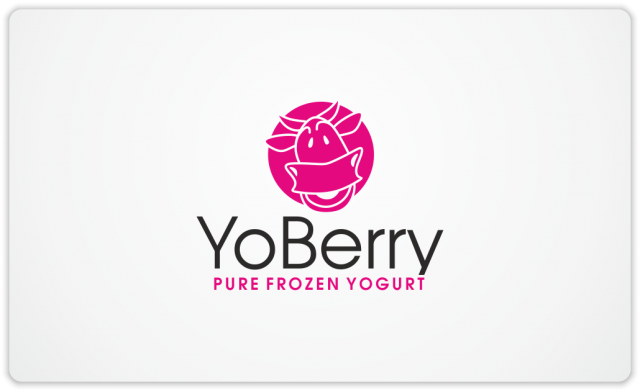 Pink cow in logo for YoBerry | Natalia Sutkiewicz - Graphic Designer Portfolio. Logo, Business Cards, Stationery. Here’s my another logo sold recently, which will be used now by a Norwegian company, which is going to sell pure frozen yogurt under the brand YoBerry. I’m really glad that my happy & smiling pink cow will be used for such business.